Pacific Silk Plants has been offering the highest quality permanent botanicals arrangements, plants, and trees since 1988. We are located in San Juan Capistrano, CA. Our staff of floral designers have extensive experience in creating the most unique and elegant handcrafted botanical designs. Each of these arrangements are made with only the most realist and natural products, and careful attention is paid to the smallest details in design and quality of creating the highest quality finished product. Each arrangement is made to order here at our store in San Juan. 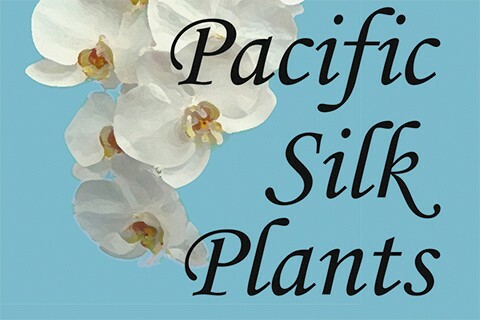 Pacific Silk Plants has been providing florals, trees, succulents and orchid arrangements to the finest furniture stores, home decor shops, and high-end interior designers in the home décor industry throughout the country. Pacific Silk Plants has been a trendsetter of high-end florals market. Our orchid and succulent collections are exhibited in the Las Vegas World Market. We are located on the 5th floor of Building C, space #538C.